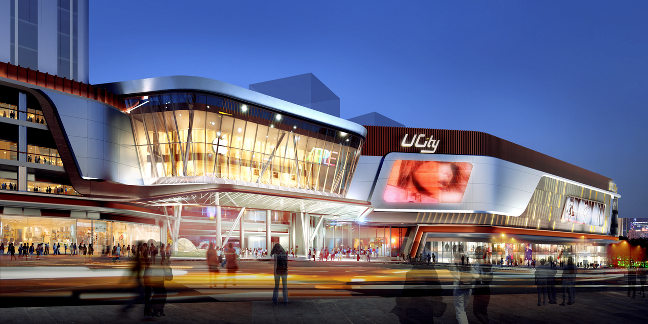 Longfor U City is a significant project that will position another Woods Bagot mixed-use within the Chongqing city area. Aligned with a multitude of programmatic requirements, the development combines residential, for-sale and self-owned retail and Small Office/Home Office (SOHO) towers within a 60,500m² site. Offering a broad entertainment experience and lively social environment, the development is characterised by a vibrant, high fashion, lifestyle atmosphere coupled with economical and practical design. It generates a dynamic and contemporary retail atmosphere and challenges the client’s established retail presumptions, offering a new and exciting identity for their future developments. Crafting an elegant and softly curving facade, the team worked to provided Longfor with a modern and stylish aesthetic that is appealing and relevant. 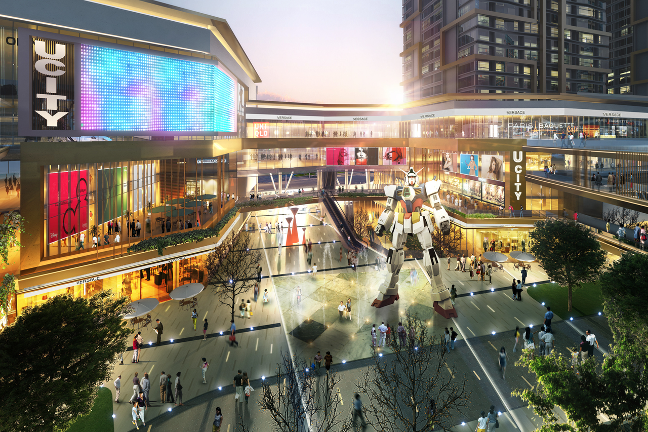 Featuring a 400m long retail street and two independently operated shopping malls, the design is focused around the ‘Social Hub’, a vibrant and engaging social area that is interwoven between buildings at the heart of the project. Providing not only shopping, but also a gathering place for family and friends, the Social Hub is envisioned as a space for activity and as a communal focal point.